The science lesson in Malcolm Finkley’s class at D.A. Hulcy STEAM Middle School was delicious. “It’s like ‘bootleg Blue Bell,’ bro!” one student declared. “This is like the best thing I’ve ever tasted,” a classmate agreed. The recipe for success on this particular day included milk, heavy cream, sugar, rock salt, 3 cups of ice and either vanilla, strawberry or chocolate flavoring to make ice cream. Once combined into plastic bags, students had to mix the concoctions until they froze into ice cream. Students learned about the importance of getting the quantities just right, as Finkley purposely altered the formula so the mixture wouldn’t freeze the first time. With a bit more rock salt and another cup of ice, the process worked. The ice cream lesson came from Project Lead the Way, an organization that provides hands-on curriculum in subjects such as engineering, computer science and biomedical science. Teachers learn as well through training and professional development. 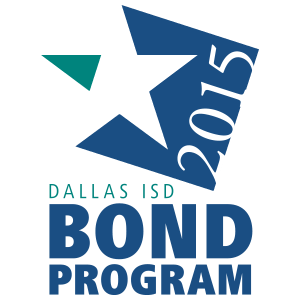 Hulcy is among the about 30 Dallas ISD schools that use a Project Lead the Way component. Hands-on projects are the norm in the engineering class at Hulcy, with the next lesson using a plastic shoebox to replicate a beach environment that is subjected to an oil spill. Students will have to determine the best way to clean up the spill and also create a budget for the supplies to get the job done. Finkley’s teaching focuses on one of the letters in Hulcy’s focus on STEAM (science, technology, engineering, art and mathematics). “Ever since I started at this school, and I told Ms. Lockwood, the ‘e’ is on me,” Finkley said. Following up after the ice cream had been devoured, students asked and answered questions about the project. Finkley encouraged them to try out the recipe at home. He said even cafeteria employees at the school have asked about making the ice cream.